What is the DISH Ambassador Program? Pass along this exclusive offer to friends and family. And for every single person that signs up for DISH through this program, FFA receives $200. This means that you and your chapter can earn hundreds, even thousands, of dollars for the FFA programs you love. Just by handing out brochures! 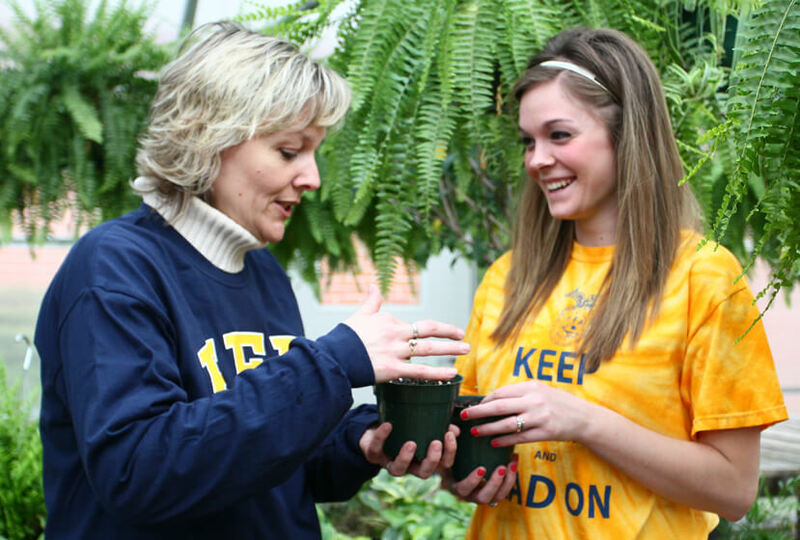 Are you an FFA advisor with questions about the DISH Ambassador Program? To switch to DISH and support FFA, friends and family just need to call toll-free 1-855-FFA-DISH. Have your chapter code ready. Earn Money for FFA in 5 Simple Steps! 1. Reach out to FFA state leadership, and they'll send brochures with an exclusive offer just for friends and family of FFA. 2. Local chapter leaders write their unique chapter code on each brochure. 3. FFA members share DISH's special deal with friends and family. 4. Friends call toll-free 1-855-FFA-DISH and give the agent your chapter code. 5. Friends and family enjoy award-winning DISH TV, and FFA receives $200, including $100 for the local chapter that made the referral. Invite friends and family to switch to DISH. Share with others like teachers, coaches, and family. Offer this special deal at local sports games, block parties, and other community events. Make a personal connection – students should not make cold calls or knock on strangers' doors with this offer. 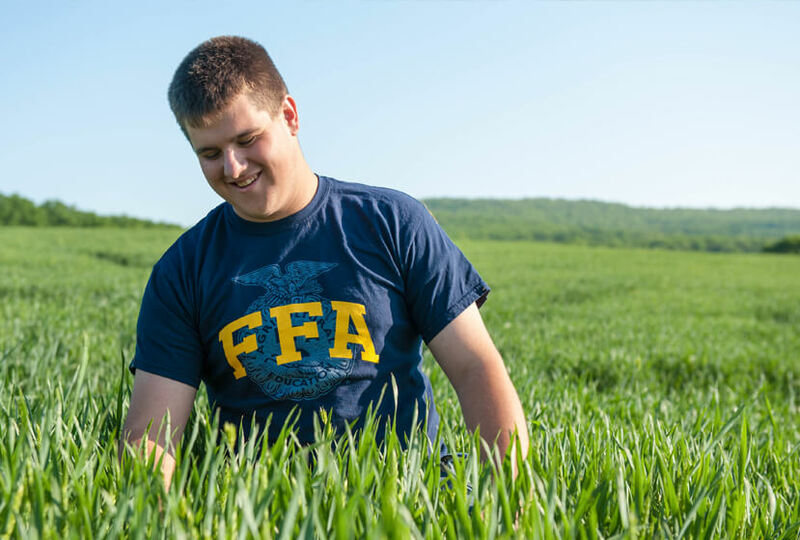 That's why we're proud to support FFA with the new Ambassador Program. Support FFA by switching to DISH. FFA and its members are not authorized retailers of DISH products and services, for information on DISH products and services please contact DISH directly. Door-to-door distribution of materials regarding the DISH-FFA program is prohibited. Telephone solicitation in connection with the DISH-FFA program is prohibited. Use of the FFA Name or Mark does not represent an endorsement by FFA of this product or service or an endorsement by FFA of the manufacturer or provider of this product or service. 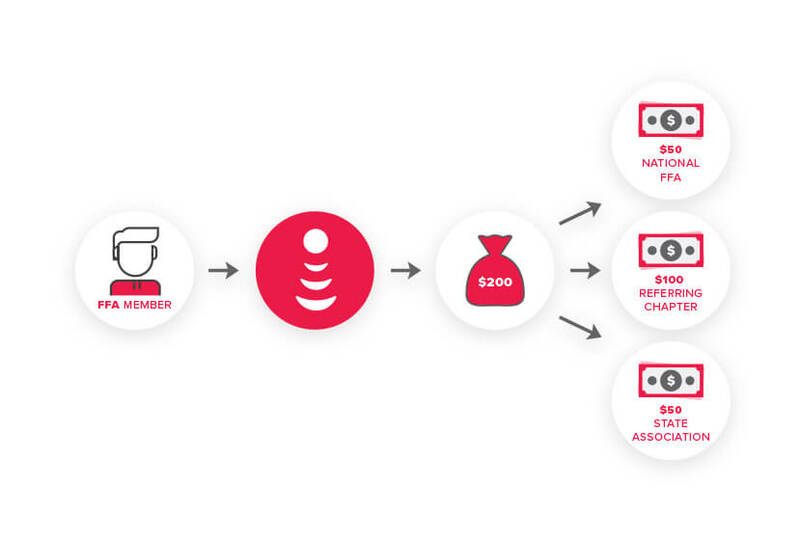 From October 24, 2018 until December 31, 2018, for every new and qualifying former customer that signs up under DISH's Digital Home Advantage program, FFA will earn $200.00. Program not available in AL, HI, IL, MA, MI, SC.